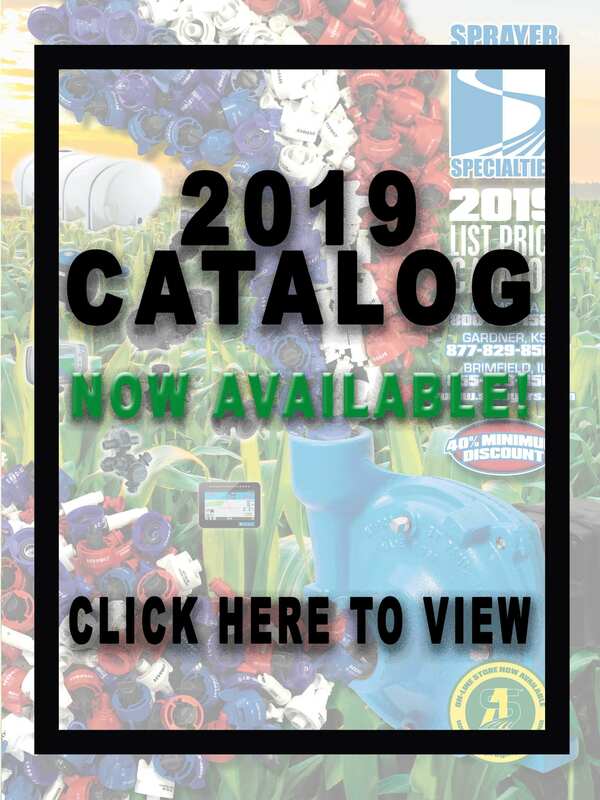 Available with 15, 30, 60 & 85 gallon Chem-Mixer Tanks. 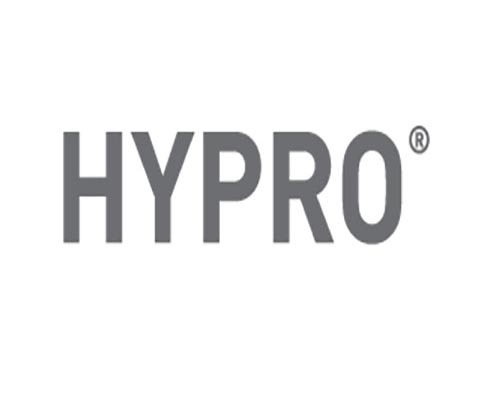 · Available packaged with or without Transfer Pump. 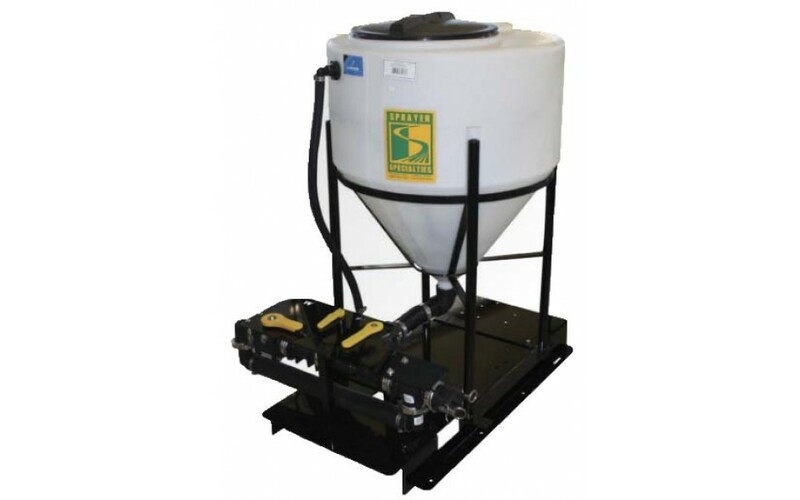 · 5.5 Gallon Hopper provides capacity for two liquid containers or one 25 lb. bag of Dry chemicals. 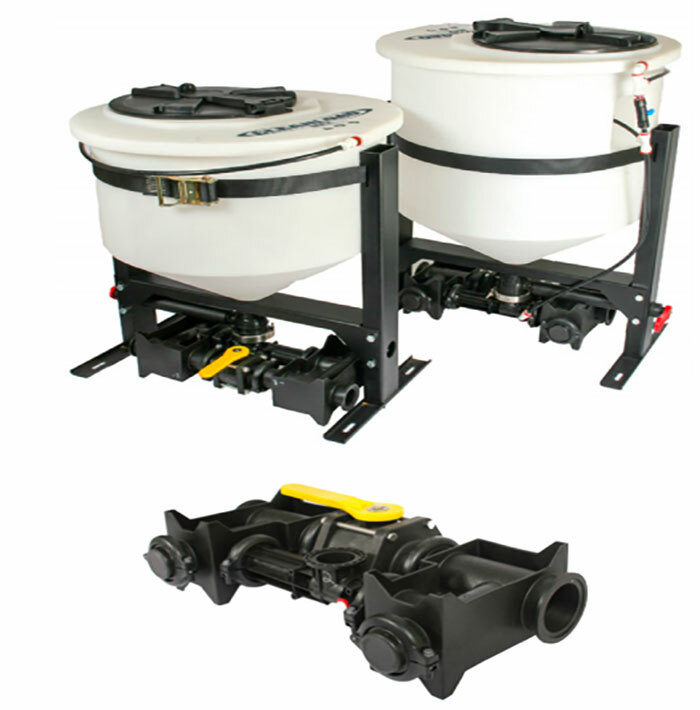 · Tank & bottle rinse nozzles standard. 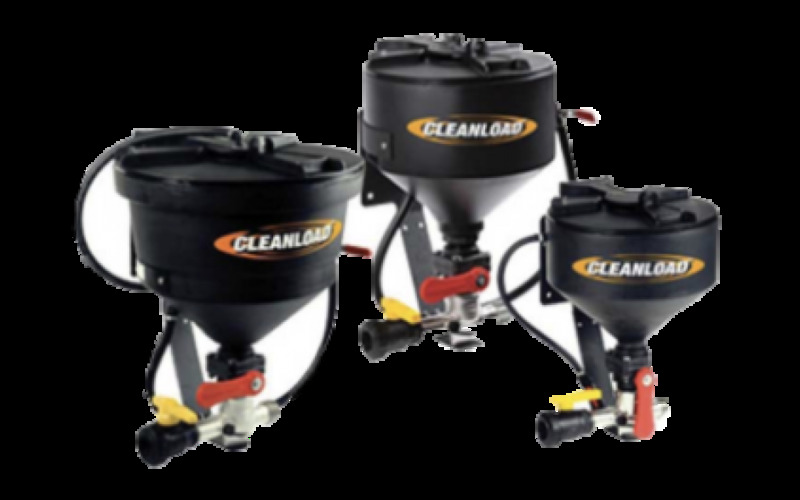 Designed to wash Cleanload Hopper and triple rinse chemical containers of residue.